Asia is a cruise destination with a fascinating history and rich cultures. Best of all, most of the major cruise lines will now take you there to see the Far East in all its splendor. You can go to Asia for the scenic beauty of the cliffs of Ha Long Bay, the ancient wonders of China, or the beautiful palaces of Bangkok – whatever your reason, just go! 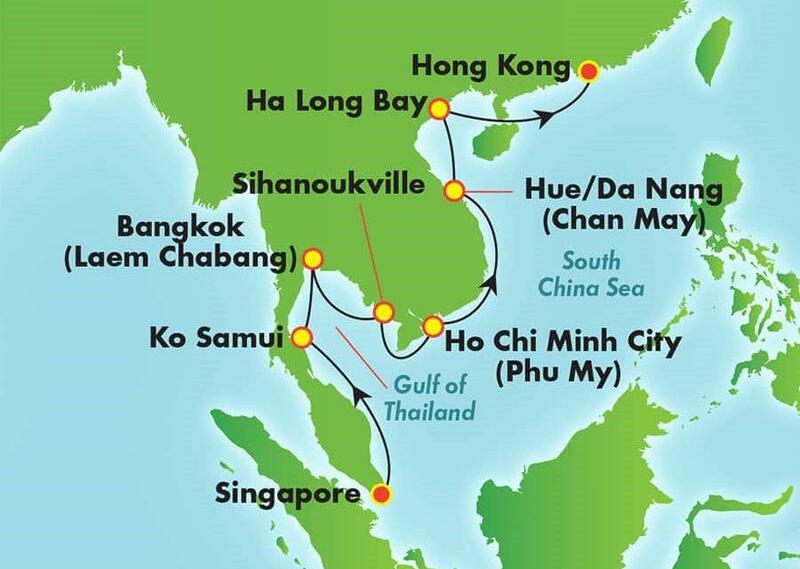 Asia cruise itineraries provide a convenient way to see more of the Far East from the convenience of your ship. Each day in port will bring unforgettable adventures in cities like Singapore, Bangkok, Ho Chi Minh City, Hong Kong and many more. Walk through immaculate Asian gardens, shop for handmade crafts in local markets, pay your respects to Buddha or just sit back and take in the marvelous views. Sailing on a cruise, you’re free to explore Asia however you see fit. Are you ready to take a cruise through the Far East on their remarkable Asia cruise itineraries? With itineraries spotlighting India, the Far East and Southeast Asia, you’ll have your pick of memorable things to do at each port of call. For example, you could view the multi-cultural architecture of Vietnam on a rickshaw tour, marvel at the terraced rice fields of Bali, or explore the golden structures and green gardens of Bangkok’s Royal Palace. Featured below are a few of the best ways to spend your time when cruising through Asia on a cruise. See the map to take a peek at a sample routing. Discover the rich heritage of Saigon and the Mekong Delta. Admire the city’s lovely pagodas, colonial architecture and broad boulevards. Drink in the exquisite beauty of Ha Long Bay with it breathtaking limestone islands. For more information or to book your next trip, call 503-655-4850 or email Joyce@sunconnections.com. **Travel Layaway plans available!